(Courtesy of Jennifer Robison) North Louisiana Wounded Soldier Benefit is scheduled for June 19-22 at the Bossier Parish Riding Club Arena in Benton. The community is hosting a benefit to help those who have sacrificed greatly for our country. 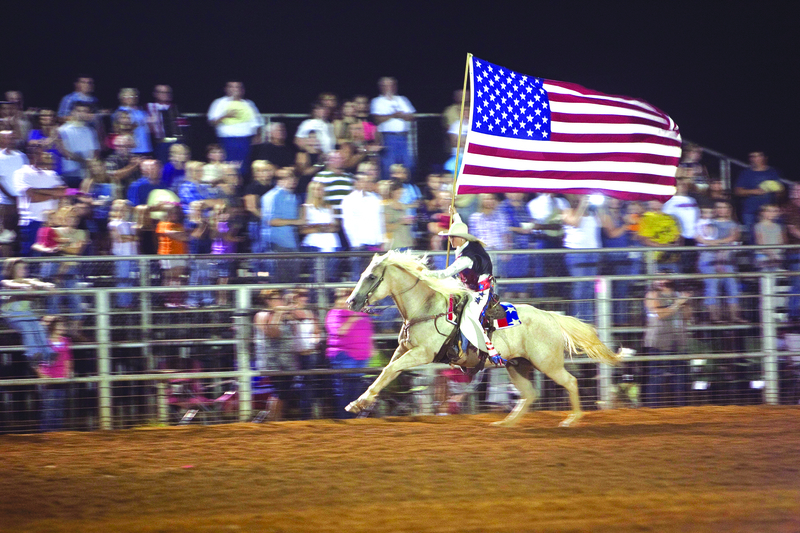 The North Louisiana Wounded Soldier Benefit is set for June 19-22 at the Bossier Parish Riding Club Arena in Benton. The event will include team roping, bull riding, a trail ride, ranch rodeo and ranch sorting. The goal is to raise $6,000, which event founder Roy Sattler said will support those who have served in the military. According to the event’s Facebook page, there are five events planned during the four day event. Team roping takes place Thursday night at 7 p.m., followed by bull riding Friday at 8 p.m.
Sattler said the PBR bull of the year from Circle T Ranch will be showcased during the bull riding event. Top winners will receive buckles. The event concludes Sunday at 11 a.m. with Cowboy Church beginning at noon, led by Pastor Dennis Arron. Admission prices vary on Friday and Saturday, but events on Thursday and Sunday are free to attend. Proceeds from the event will go to the Louisiana Veterans Foundation, a non-profit corporation established in 2012 whose goal is “to assist Veterans, their families, and the families of active duty military personnel that reside in the state of Louisiana who have a qualified need that cannot be met through their own resources or other community resources.” Event organizers hope the event will bring in a lot of money for local military men and women. Sattler hopes the event will not only be successful in its first year, but grow bigger each year moving forward. “This is something that could really make a difference in a lot of people’s lives,” he said. All of the events will be held at the Bossier Parish Riding Club, located at 221 Rubicon Road behind Benton High School. For more information, contact Roy Sattler at (318) 464-7514 or visit their Facebook page at www.facebook.com/NorthLouisianaWoundedSoldier.